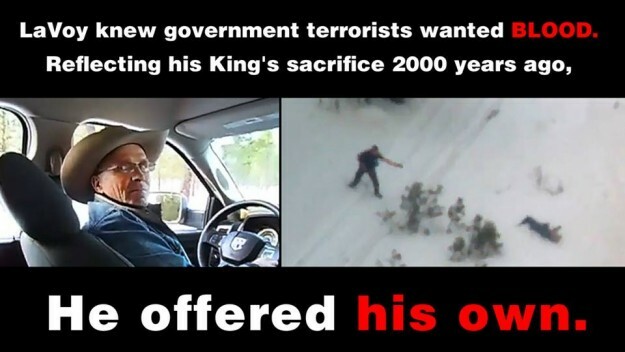 Police Investigation into Death of Lavoy Finicum proves FBI Lied. Criminal Prosecution pending. Jake Morphonios discusses breaking news regarding the elite FBI strike force that set up the ambush and murder of LaVoy Finicum. 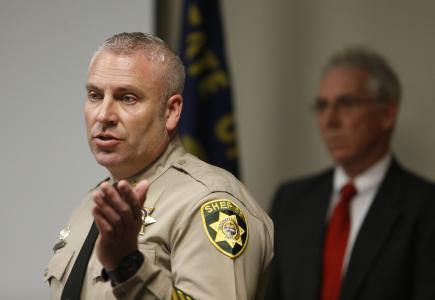 The task force is now under criminal investigation by both the Deschutes Oregon County Sheriff’s Office and the US Justice Department’s Inspector General’s Office. It is fantastic to see that there are still some Law enforcement departments with integrity enough to perform their duty in a professional manor and test the FBI story of killing a ‘Domestic Terrorist’…. FBI via the evidence…. and what they have found is Damnable towards the FBI. They used provocation, *Planned* and executed this murder of an upright American Patriot, in such a manor as to fabricate a litany of Lies… and this ongoing investigation could lead to criminal prosecutions of these ‘Special FBI agents’ who not only set the Ambush up in such a way as to make it impossible to stop in time, but clearly lied about their use of firearms. For People like myself who live outside the US, it is fantastic to see how the roll of ‘Sherrif’ comes to the fore on these situations where the Feds are involved. And it has been Sheriffs whom have been at the forefront of the defense of the Patriots and Cowboys as they have been trampled underfoot by the FBI and BLM. *After being fired upon while still in his pick up, Lavoy decided his best hope was to get to the refuge of the Grant County Sheriff whom was expected to be in attendance of the Public meeting Lavoy and co were travelling to attend… yet he would never make it. *This whole episode was absolutely unnecessary*. *They told lies about what happened, and about the use of their firearms*. *And remember that *This is a police report*…. not a propaganda piece for ‘Radical Christian domestic terrorists’. PRAISE THE LORD! The Federal Government is facing serious resistance from many of these local State law enforcement personnel whom still uphold their oaths to the Constitution and the People they serve… *Above the political Elites* in Washington. And The American peoples need to count on such Brave and principled Men and woman will increase by the hour as their country marches ever closer to the Fiscal Cliff… and Civil War. *It is the Political Class and the special interests they represent that are eager to overthrow the constitution… to disarm the People and to subjugate them so that in the event of collapse, or growing unrest… the people will be in no position to overthrow them… put them in jail…. take away their power and privilege… which is their Right to do. From The American Declaration of Independence. 1776. Update: Here (below) is the Press conference with the police report…. 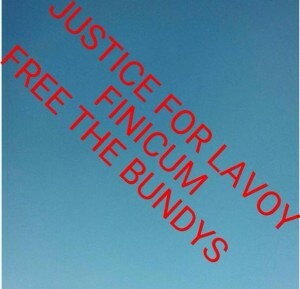 A Message From Ammon Bundy – Support Grant County Sheriff Glenn Palmer, he is being threatened. PLEASE KEEP SHARING, it keeps the message alive!